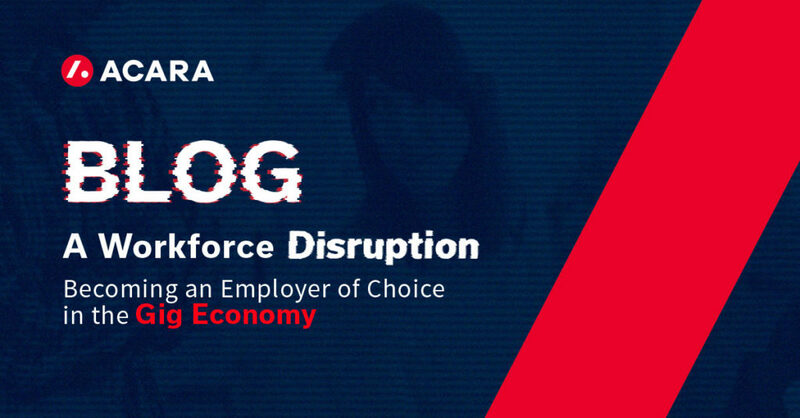 5 Ways to Become an Employer of Choice - Acara Solutions, Inc.
By now, most of us know that the gig economy is in full force, and that means employers must accommodate new behaviors and attitudes in the workplace. The all-too-common “side hustle” is shuffling its way to the center of the mainstream American workforce—but are employers prepared to support these gig workers? Read the white paper for more! 2. Get a grip on the gig economy. Do you know what percentage of the workforce is made up of freelancers and independent contractors? Or how many workers say they’ve thought about quitting their job to pursue a project of their own? Some researchers project that half of the U.S. working population will move into the gig economy within the next five years. Securing talent is one thing; retaining it is quite another—especially when it comes to a younger workforce. Find out what millennials and Gen Z, or “plurals,” are thinking about their career paths. “Workers want to feel heard and validated,” says John Morgan, Acara’s regional director of recruitment. Learn more about what younger workers really want in the white paper. 4. Get real. Keep it fresh. How can you give your employees what they’re looking for? We’ve got some suggestions for you in—you guessed it—our latest white paper. 5. Care about something more than your bottom line. The modern-day worker is looking for an employer that strives to do good and do well at the same time. That means employees appreciate working for an organization that puts a premium on social responsibility. Workers need to see the big picture, and company leadership must provide them with the opportunity to do so. Increased transparency also helps employees feel more connected, especially when 87% of employees worldwide still report not feeling engaged at work. For more news, notes, and tips from Acara Solutions, visit our blog page. And don’t forget to check us out on Twitter, LinkedIn, and Facebook.